The Garden of Dreams, a neo classical historical garden, is situated in the midst of Kathmandu city, Nepal. The Garden was famous as the garden of Six Seasons which was created by late Field Marshal Kaiser Sumsher Rana (1892-1964) in early 1920. After the completion of this Garden, it was considered as one of the most sophisticated private gardens of that time. However, it was a private garden of Kaiser Sumsher, it was beautifully designed inspired by the famous Edwardian style . Kishore Narshingh, a prominent architect who designed and constructed Singha Durbar in 1907, designed and supervised the construction of the Garden of Dreams. Within the Garden walls, Kaiser Sumsher created an exquisite ensemble of pavillions, fountains, decorative garden furniture and European inspired features such as verandas, pergolas, balustrades, urns, and birdhouses. He erected six impressive pavillions, each dedicated to one of the six seasons of Nepal. 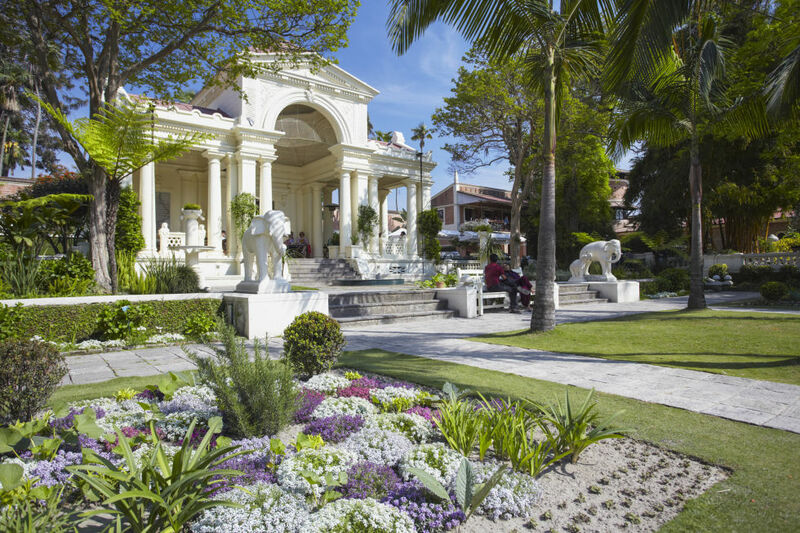 These pavillions provided the Garden's architectural framework and lent a cosmopolitan flavor to the formal arrangement of flowers, shrubs and trees. Today, only half of the original garden is in existence.